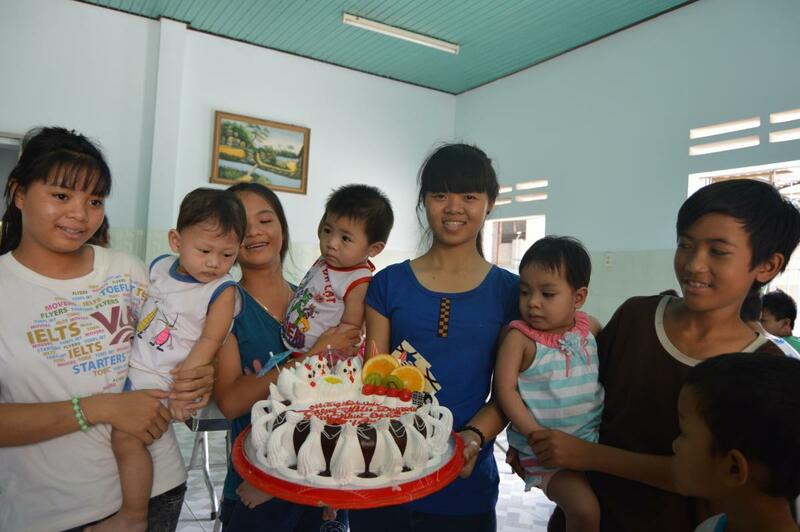 On June 20, 2015 we had a birthday party at the Mai Am Nhan Ai Orphanage. 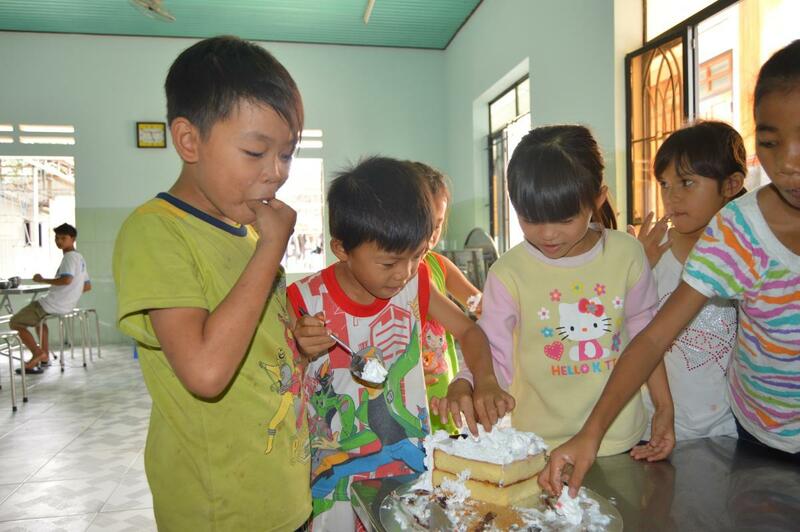 Many of the younger orphans have never experienced a birthday party before, so we thought we’d do something special for the children with summer birthdays. 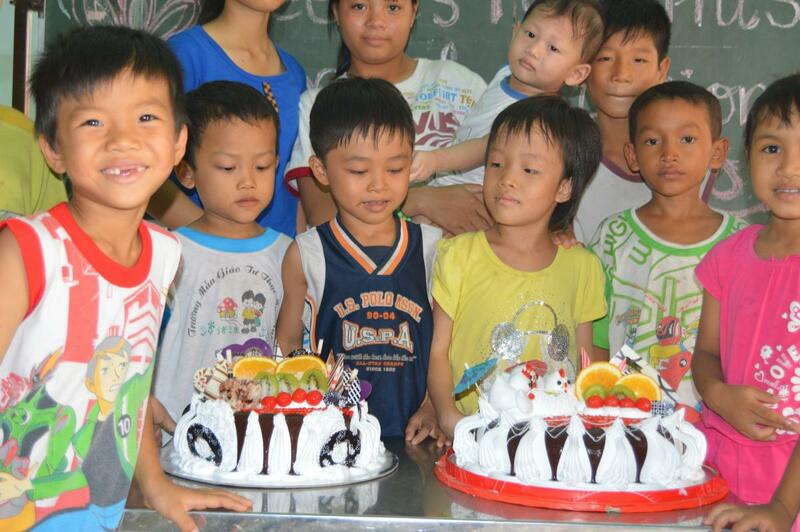 We had 2 beautiful cakes made, and held a first-ever birthday party for a group of youngsters at the orphanage. 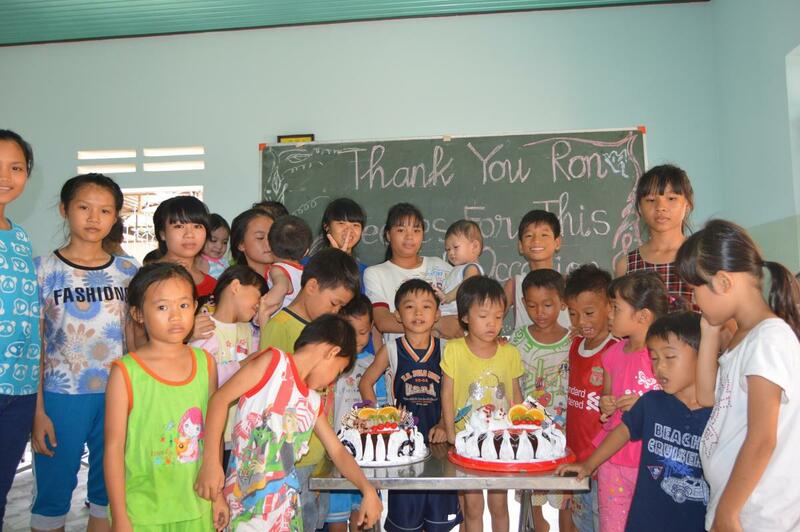 In addition to the cakes there were also small gifts and decorations. This special day was sponsored by Ron Weekes of the USA. Thank you!